In trying to define expectations across the new department this is one of the ‘snap shot’ reminders posters I created, and have since shared whole school. Regardless of anyone preparing for an Ofsted visit I think this is good advice for good practice in managing learner books/folders and the levels of AFL expected within. 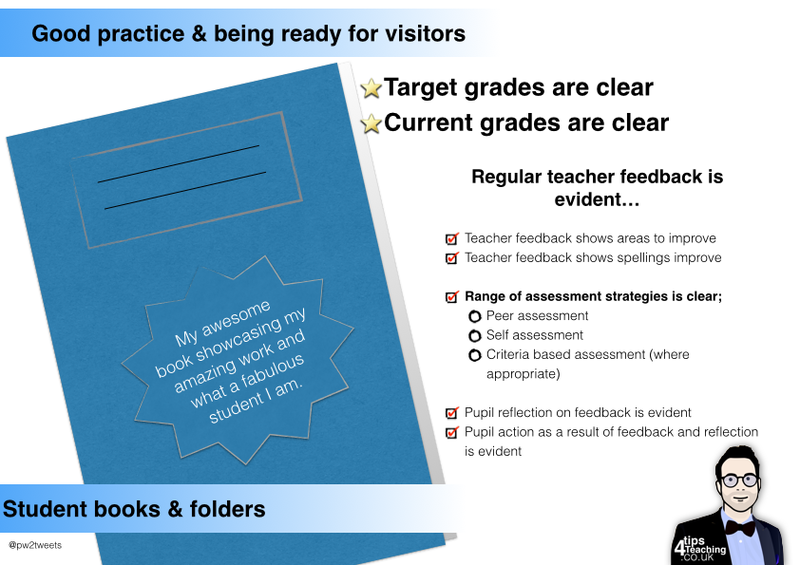 – Note that I say ‘good practice’ it may not always be achievable, but it’s what a teacher should be aiming for the majority of the time. Useful? Aspirational? or Too much work? Share your thoughts in a comment please.